It was disclosed that Kim Hyun Joong who ranked the 2nd on Oricon chart with his Japan solo album , ” Kiss Kiss/Lucky Guy” and made a record of the best selling on the first release day as an overseas artist, is going to release his second single on July 14. It was a really big news that B’z who produces this album ( Inaba wrote songs and Matsumoto coposed them). 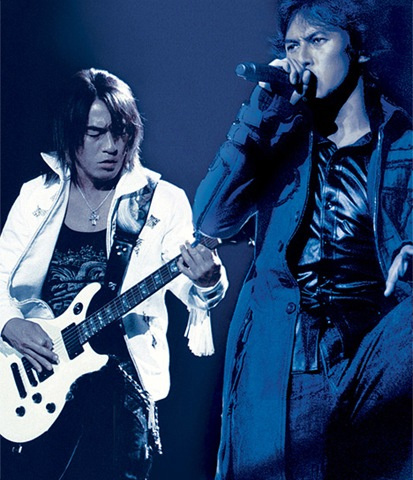 It is the first time for B’z to produce songs for other artist since their debut in 1988. Furthermore, Inaba joined in chorus while Matsumoto played a guitar in recording. The album title is ” HEAT “. There is no wonder that this single album will be a hot hit this summer like its title. Kim Hyun Joong told at his Japan Solo Debut press conference in November that he waｓ B’z ‘s fan himself. B’z accepted an offer from Kim Hyun Joong side to produce a song for his album. 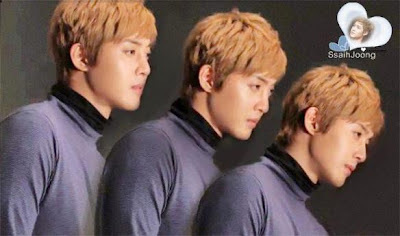 Kim Hyun Joong made a major debut in Japan in 2012 with Kiss Kiss/Lucky Guy album, now attracting much attention that he would be a most promising artist. On the occasion of his premium live concert at Yokohama arena which took place in February, Kim Hyun Joong talked his fans , ” I hope that I will be able to see you on the stage and also you will follow me till Tokyo Dome ” This 2nd album will make him closer to his dream. On May 16, the premium live DVD “First Imapct ” will be released. focus on B’z by a close cover-up. Asked ” Why do you think B’z sell well ? ” , Mr. Matsumoto ( guitarist ) of B’z, asnwered ” It’s our intuition, a sort of wild inspiration that it will be a big hit “. My comments: B’z has been very popular for a long time, especially among male fans. Mr. Inaba (vocalist) ‘s high-tone voice is so sweet ❤　I believe that duo of Mr.Inaba and Hyun Joong will be really beautiful harmony.